My family and I already had a GS collie mix however I was looking on the internet and saw a picture of "Dallas". I just had to have him. 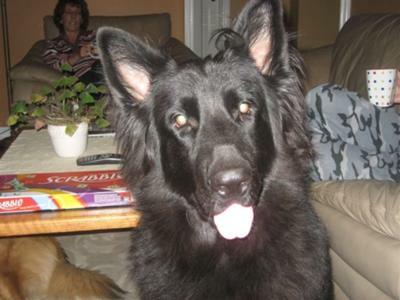 He is a long hair solid black GSD. He is the biggest baby! He has been so much fun and we couldn't imagine our lives without him.